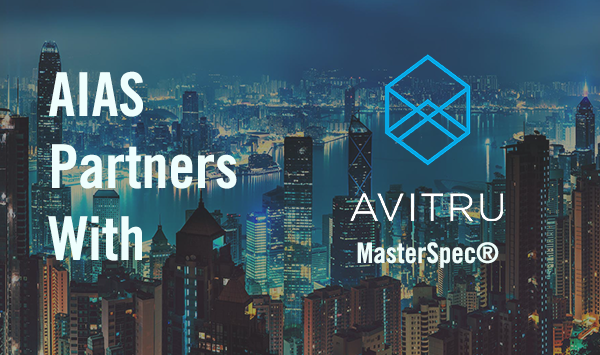 We are happy to announce that AIAS has partnered with the AIA and Avitru to offer free student access to MasterSpec through SpecBuilder Cloud, an online specification library, editor, and research tool. By registering for a #free account, you will have, with a couple limitations on output, free access to the same tools used in architecture firms to research building products and write specifications. And if you got into architecture because you don’t like to write, we’ve got some good news for you – using MasterSpec is a lot easier than you think. Why are we doing this? Because it’s something you are going to need to know how to use in your career. Architecture is all about communication and creating models is only part of your professional toolbox. Being able to describe, in detail, all of the products that you are using and the options, finishes, or sustainable characteristics of the product is something that you are going to have to do at some point in your career, and there is no better time to start getting familiar with the tools you will be using than now. The AIA developed MasterSpec to fill a need that was quickly identified as projects started getting more complex and involving multiple parties – drawings or BIM are excellent ways to show location and quantity, but there is an incredible amount of information about building products – sustainability, finishes, tolerances, substitutions, delivery, storage, and installation requirements, etc. – that also needs to be addressed. Enter specifications. MasterSpec is used by a majority of the large and small firms in the United States and in projects worldwide to streamline and coordinate specification and BIM content. It’s also a great resource to learn about building products, as it includes extensive research material geared toward the first-time user. You can find instructions and resources on specifications and SpecBuilder Cloud here.